Solution: Which reaction follows the benzyne mechanism? 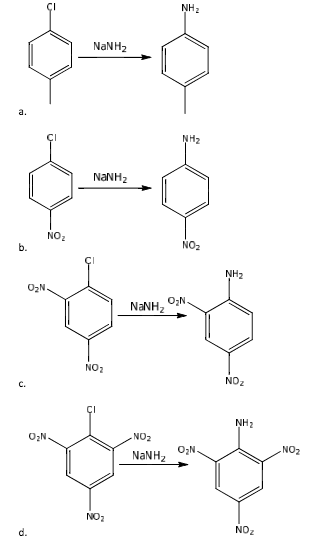 Which reaction follows the benzyne mechanism? Which intermediate is involved in this reaction?